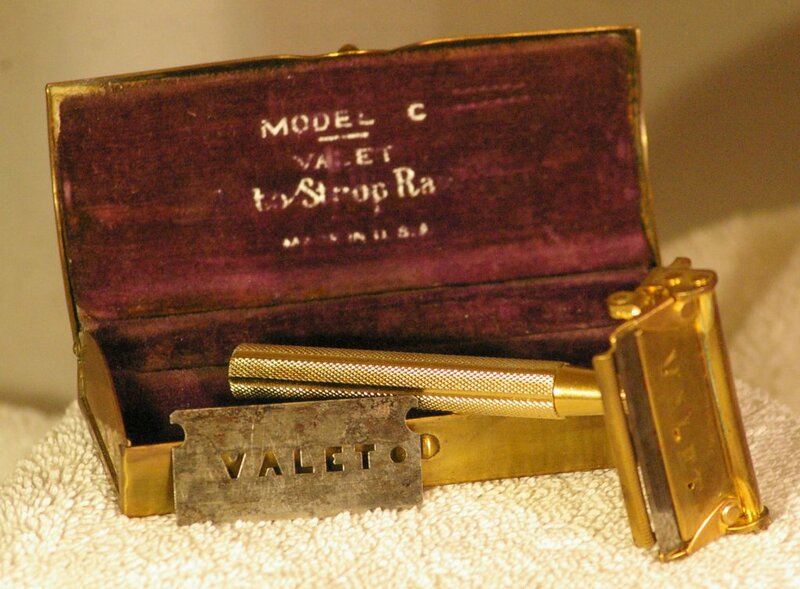 The Valet Autostrop was a pretty neat razor. 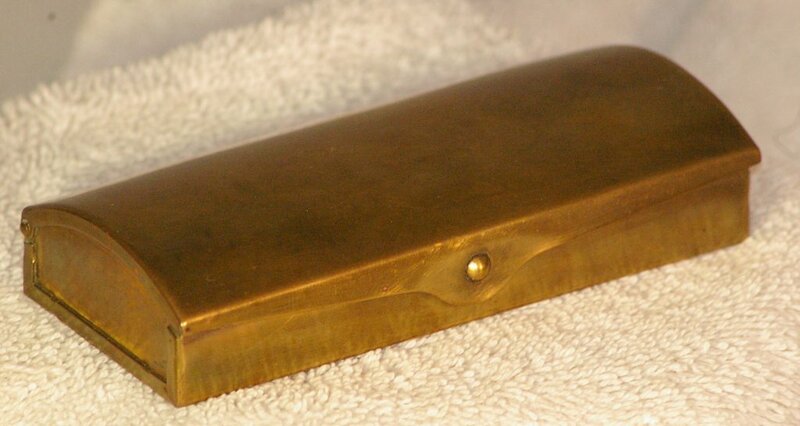 As you can see in the photos, there are a lot of precise fitting parts on this vintage safety razor. 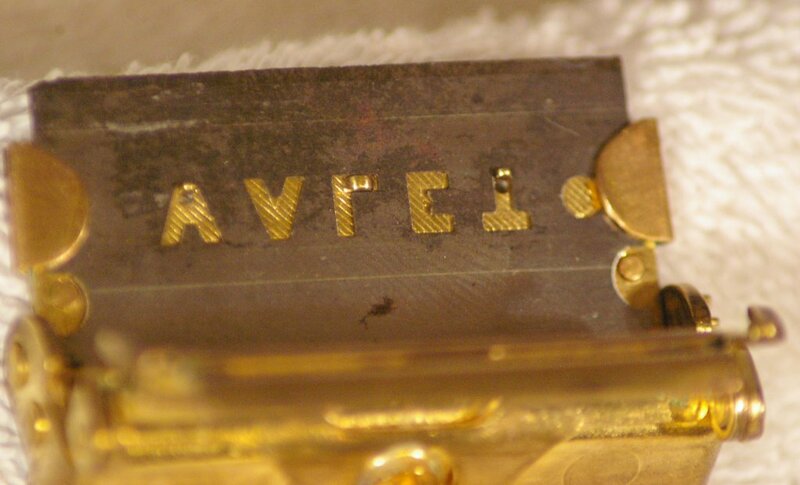 As indicated on the case lid, this is a Model C kit. 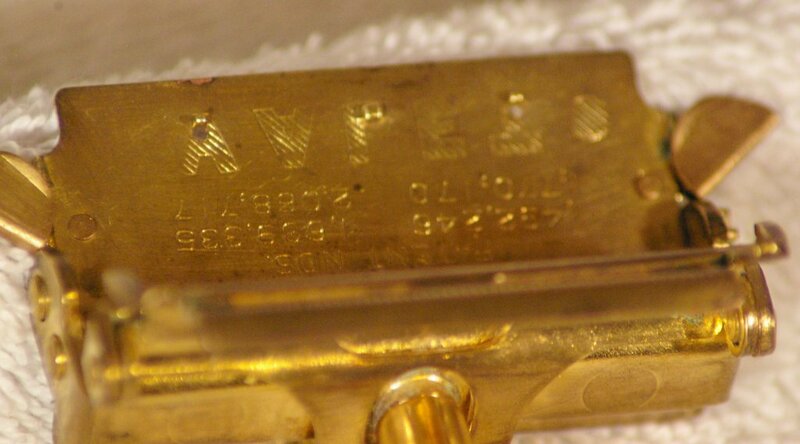 Looking at the features, it is more specifically, the Model VC4, produced between 1941 and 1945. 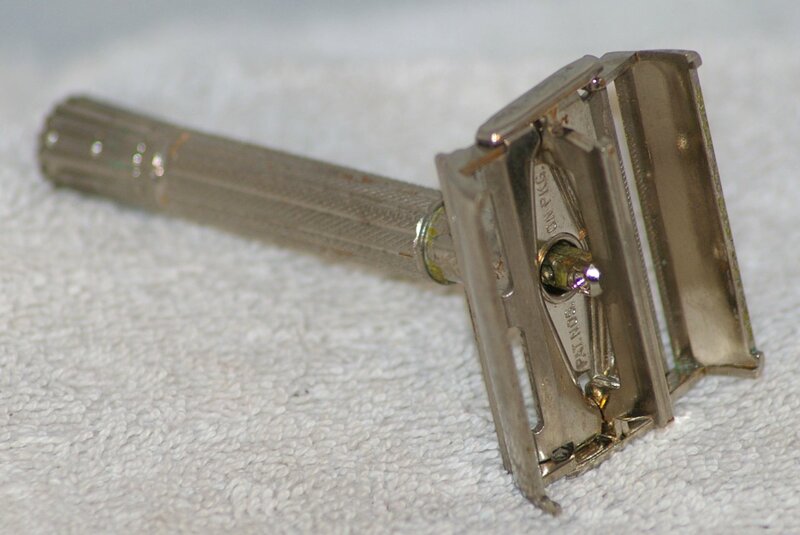 The razor is in very good condition. 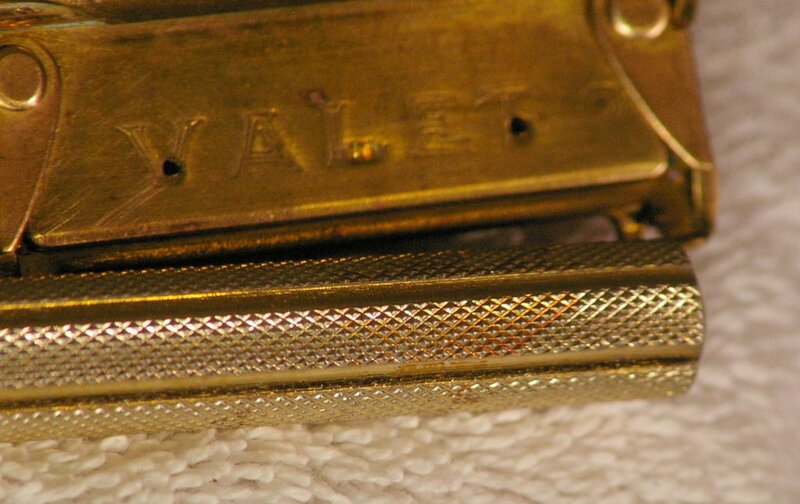 There is a spot of discoloration on the handle. 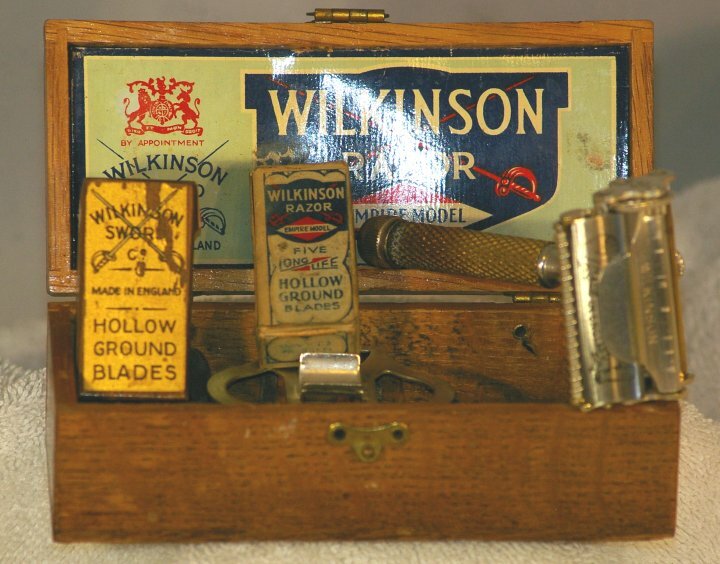 There are two blades included, but these are strictly for display. As far as we can tell, it operates perfectly. 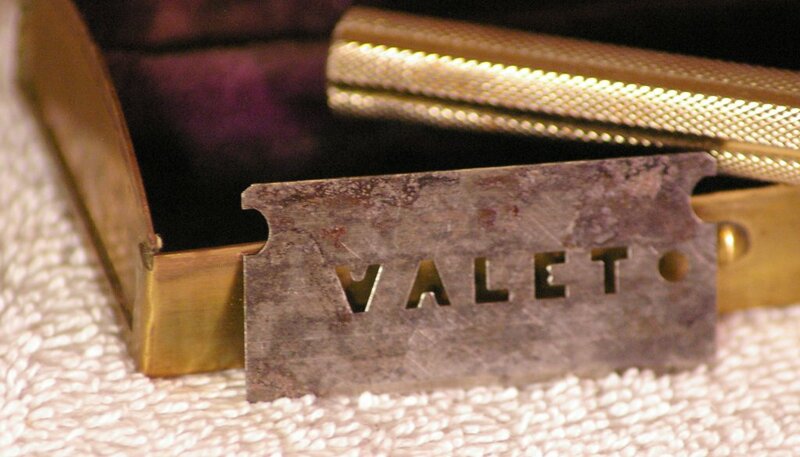 Valet brand blades are no longer available new. 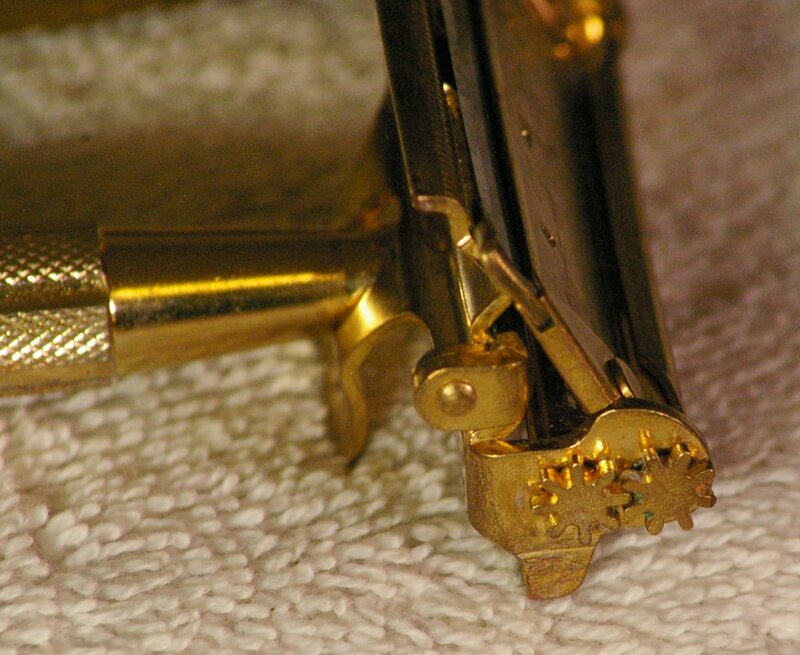 However, Feather makes a Single Edge blade that will work. 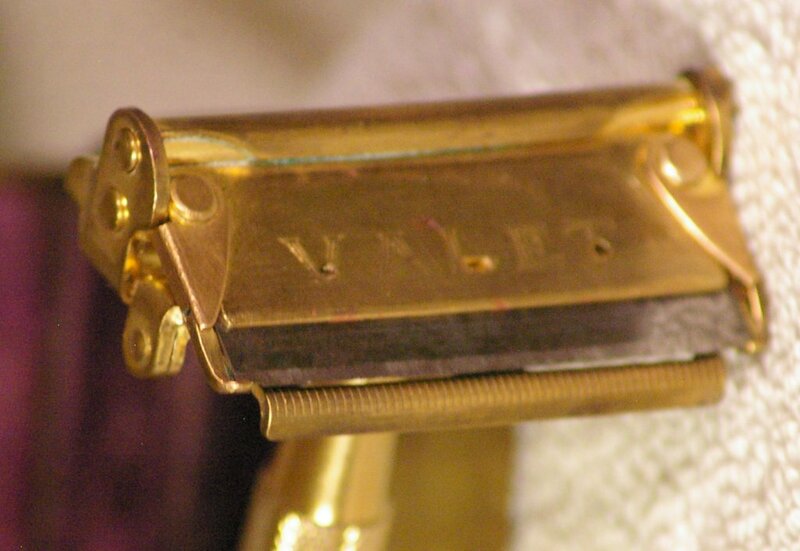 Many people say there's no better razor.